I accept your GDPR policies. 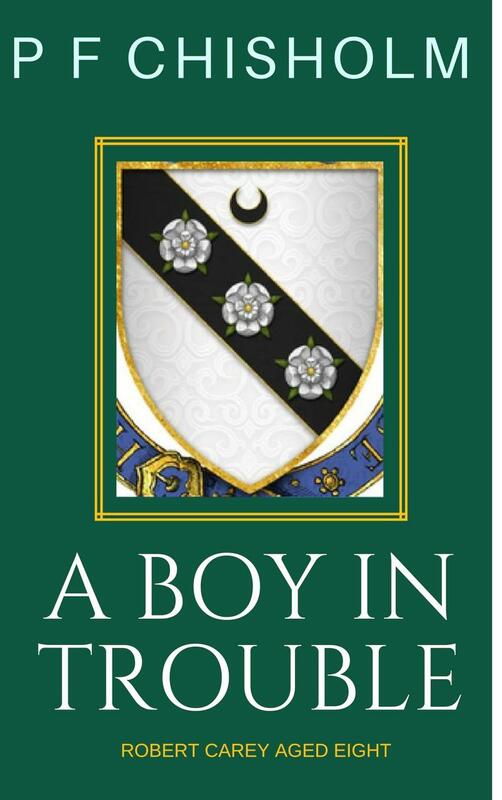 Part 2 of a short story series about the young Robert Carey - and in case you don't already have it, you can get part 1 as well, A Pest of a Boy. Leonard Nimoy – lived long, prospered, now he’s dead. I’ve been crying because of an actor one year younger than my father – I mean Leonard Nimoy, of course, star of the original Star Trek series, as Mr Spock the Science officer of USS Enterprise. Funnily enough, in the hotbed of hormones that was the Upper Fourth of the Henrietta Barnett School for Girls, I wasn’t a Spock groupie. No, I (ahem, this is quite hard to admit to) loved Captain Kirk. In all his chunky male glory, I had the hots for the one who keeps going off at the deep end and behaving in a very emotional manner. Mr Spock was cool. I didn’t like that. I also fancied Dr McCoy which was remarkable because he was really quite ugly – I liked him for his crustiness and medical know how. But Spock. No. That didn’t stop me from writing two mildly pornographic Star Trek scripts and then blaming them on a friend (sorry, Katy, I still feel embarassed about that.) There was a daughter of Spock’s called Spockina, I dimly recall, and quite a lot of orgying, written by someone who had been kissed but nothing else. It was obviously ghastly crap and let’s hope it never turns up. A year later we were all faithlessly hot on the trail of Alias Smith & Jones which was a knock off of Butch Cassidy and the Sundance Kid. I was after the dark-haired gambler, Smith whereas most of my friends were hot for Jones. I wrote stories for those too – slightly better fanfic as it’s now called and one or two stories were actually quite good. I learned that if anything at all, including wrathful teachers, stopped my friends reading the stories, there was something wrong with the story. One story had them all in tears, to my utter delight. But although I lost the lovely melty feelings in my tummy for Captain James T Kirk, I kept an interest. I was particularly fascinated by some articles about Star Trek in the very excellent science fiction mag Analog SF. They explained that Star Trek had a proper set of blueprints for the Enterprise and that writers were expected to know what each of McCoy’s magic medical thingies did (they were futuristic salt shakers, by the way). Making sure that you have specifications and a full set of Lore for TV series, games and fantasy novels is now so routine as to be banal. But back in the 1960s, the normal thing for an sf producer to do when the action flagged was chuck in another alien and an explosion. Nothing was logical. Star Trek was the first series to do that thoroughly which was one reason why it worked so well, despite occasional dismal Monsters of the Week episodes. There was an underpinning logic that held it all together. Gene Roddenberry, the series devisor, had served in the US Navy and also had a feel for how Starfleet Command might operate – which JJ Abrams doesn’t. You got the sense of an actual Starfleet behind the USS Enterprise in the old series. Also could I just say that it’s nice that nobody in the original series ever went near a gym. They’re all positively weedy compared with the pumped up kids in the Star Trek reprise. They looked like real people. Mr Spock in particular had arms like spaghetti. And of course we all looked at what they had in the Star Trek universe and we wanted it: we wanted communicators and we wanted sliding doors and we got them. I love the delicious story of Roddenberry being rung by a major door manufacturer and asked how they got the sliding doors to slide in Star Trek. “Oh, we have scene hands behind the scenery moving them…” I believe it was only 18 months later that the first real sliding doors appeared, without the scene hands. I’m very annoyed that we still haven’t got the dilithium crystals sorted. Spock I now realise was many fascinating symbols, but let’s remember one crucial thing: at a time when it was still against the law in some southern states for black and white people to marry and have babies, here was a half-alien, half-human hybrid being alien and human on primetime tv. That the man playing him was Jewish, just added to the delicious stew. My one complaint – I never liked his greeting. The Vulcan salute was fine – but “Live long and prosper.”? How dull. How small-minded. Get the new and exclusive Young Carey short story!